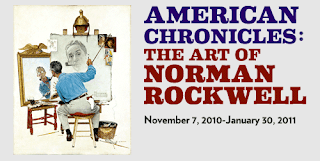 I was fortunate to get a preview of the Norman Rockwell exhibit at the NC Museum of Art a couple of weeks ago. A group from the Greater Durham Chamber of Commerce attended thanks to our host, the Association for Corporate Growth. 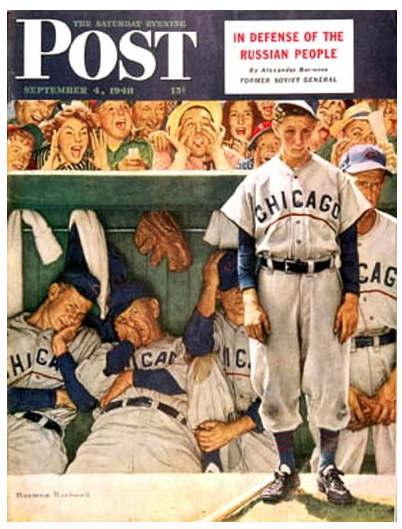 Art snobs consider Norman Rockwell a kitschy illustrator, but history will likely judge him a great American realist painter. OK, what do I know about art!?! But we boomers (and our parents...and their parents) grew up with Rockwell’s magazine covers. 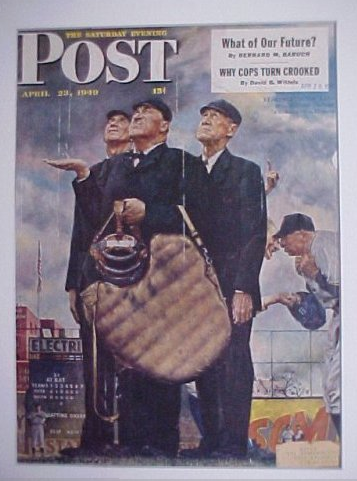 The NCMA exhibit includes over 300 Saturday Evening Post covers spanning forty-seven years. That’s a lot to take in. To navigate five decades, my wife and I would pick significant family milestones (birthdays & wedding anniversaries) and find the corresponding covers. Those framed covers frame history in a poignant way. Rockwell took a personal interest in the civil rights movement of the 1960s, and that’s another aspect of the exhibit. The night after our museum visit, Katie Couric did a story on one of the Rockwell paintings for the CBS Evening News. The Rockwell exhibition runs through January 30th. Work it into your calendar over the holidays!